All-seeing is BelievingGarmin is the first to bring Panoptix sonar imaging to your boat. Panoptix all-seeing sonar is unlike anything you’ve ever seen on the water. It gives you the ability to see all around your boat in real-time. You can see fish in the water column in 3-D. You can also see your bait cast into the water and watch it as you reel it in. You can see fish swimming in front of or below your boat. You can even see them chase your lure. But to truly appreciate Panoptix, you have to see it. Transducer trolling motor and transom mounting kit included. 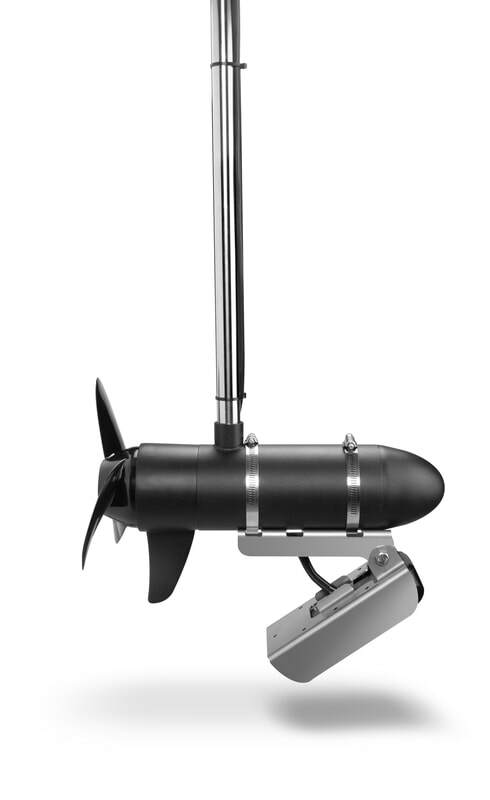 The forward-facing transom transducer should be mounted in a location that is out of the water at speeds over 32 km/h (20 mph). If located below the water line, cruising speeds over 40 km/h (25mph) should be avoided. The transducer can generate strain and water spray at higher speeds and can cause the transducer element to rotate in the mount. Mount the transducer to a secure (robust) area of the boat. Consider the placement to avoid damage to boat. If you have any doubts, contact a professional marine installer. Cable length: Power Cable: 15 ft.; Ethernet Cable: 30 ft.